Approximately 1 oz. 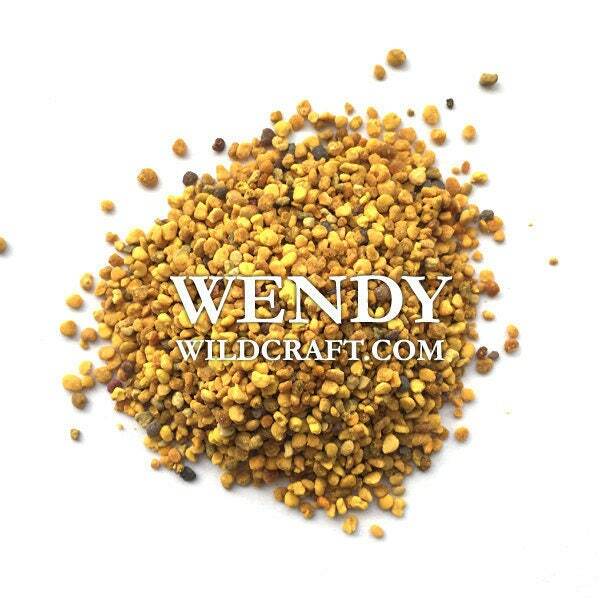 organic bee pollen. Refrigeration recommend. Use in food, soap making or natural skin care cosmetics. Bee pollen is also known as honeybee pollen. I sprinkle bee pollen on my toast with jam. Other popular ways to use bee pollen is to place some in your smoothie, milkshake, cereal or other foods. Bee pollen is edible and can be eaten alone. Don't use bee pollen if you're allergic to bees. Order arrived on time and in condition expected. Very good quality product. Thank you!